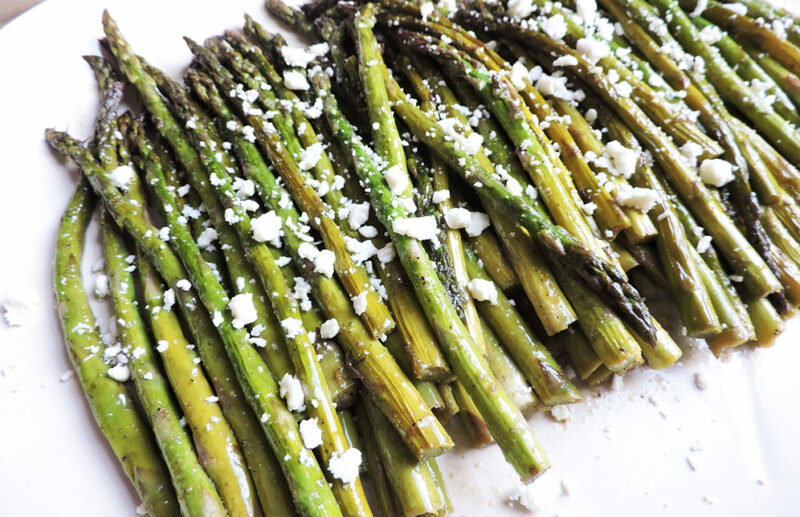 Who doesn’t love perfectly cooked asparagus?! 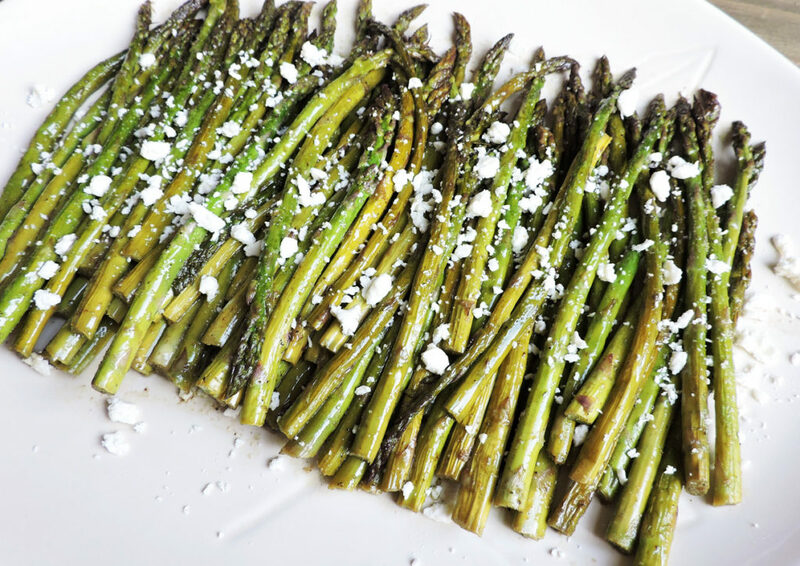 Roasted Balsamic Asparagus with Feta is the PERFECT side dish to accompany any meal, especially during this holiday season!! Asparagus is something that we cook almost every week! Mainly because it’s so quick and easy to prepare! 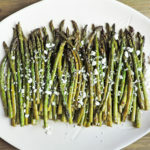 Whenever we cook asparagus, we usually drizzle it with a little olive oil and season it with salt/pepper. This time, I wanted to “fancy things up” a little bit and add some new flavor components! I love using balsamic vinaigrette on my salads or as a marinade for my meat! It’s my go-to because it adds so much delicious flavor in such small amounts! I wanted to see what this vinaigrette would taste like on veggies. I mean, balsamic vinaigrette is delicious by itself so I really didn’t see how I could go wrong! To prepare this dish, I simply drizzled a little balsamic vinaigrette over the asparagus, seasoned it with my special blend and roasted it in the oven! I actually roasted it in my cast iron skillet! Long story short….I was cooking and ran out of clean sheet pans, so I noticed a clean cast iron skillet sitting on top of my stove and decided to use it! I use this skillet for EVERYTHING!! 15-Inch Pre-Seasoned Cast-Iron Skillet I use it for frying, baking, sautéing….everything!! It was seriously one of the best gifts I’ve ever received! (Thanks, hubby!! ?) Back to the asparagus! Lol! After it was done, I sprinkled feta cheese over it and boy was it mmm mmm good! Those flavors meshed SO well together! You’ve GOT to try it for yourself!! 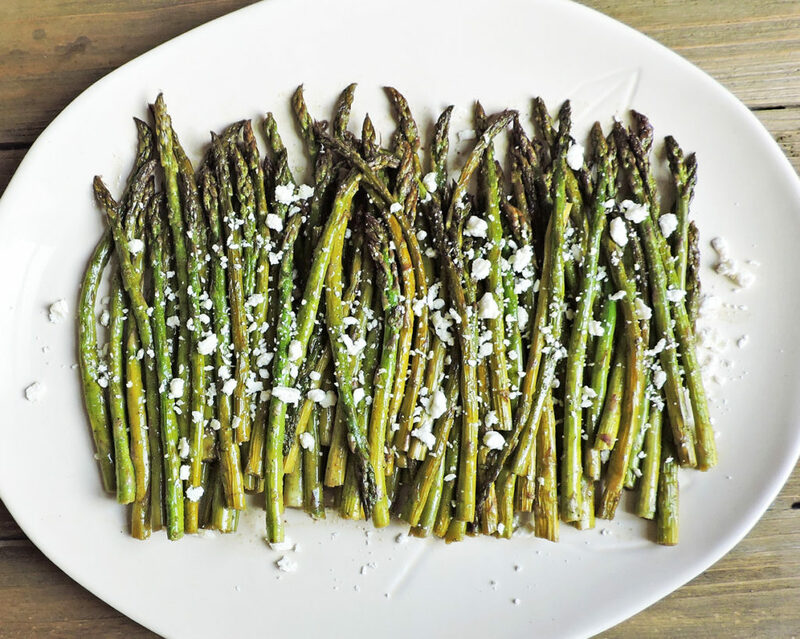 Place asparagus in a large cast iron skillet. Drizzle with olive oil and add garlic powder and onion powder. Toss to coat. Place in the oven and bake for approximately 15-20 minutes. Remove from the oven and add balsamic vinaigrette. Toss to coat and add salt/pepper to taste.